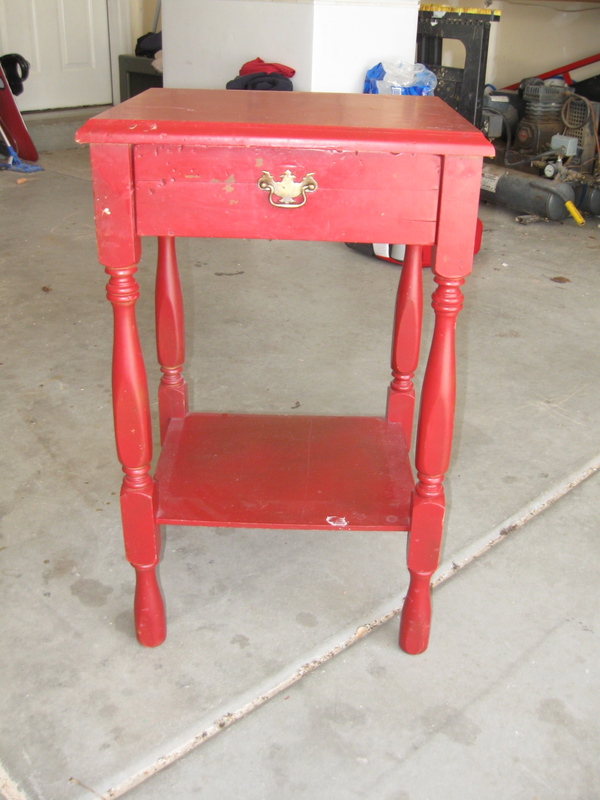 Lisa Winnett Interiors: Nightstand for .W. My friend Becca asked me to help her with some of her furniture that she just wanted to change up. After, talking back and forth for a while we finally got it started. She has some really great wood furniture that just needs some little TLC. 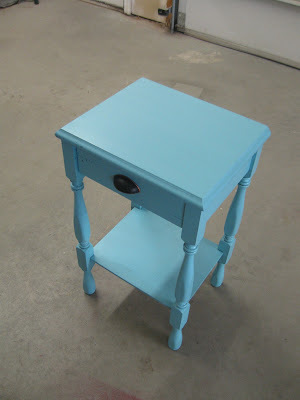 The first thing she wanted to change was this cute little nightstand. She hated the red color, it just didn't go with anything in her bedroom. 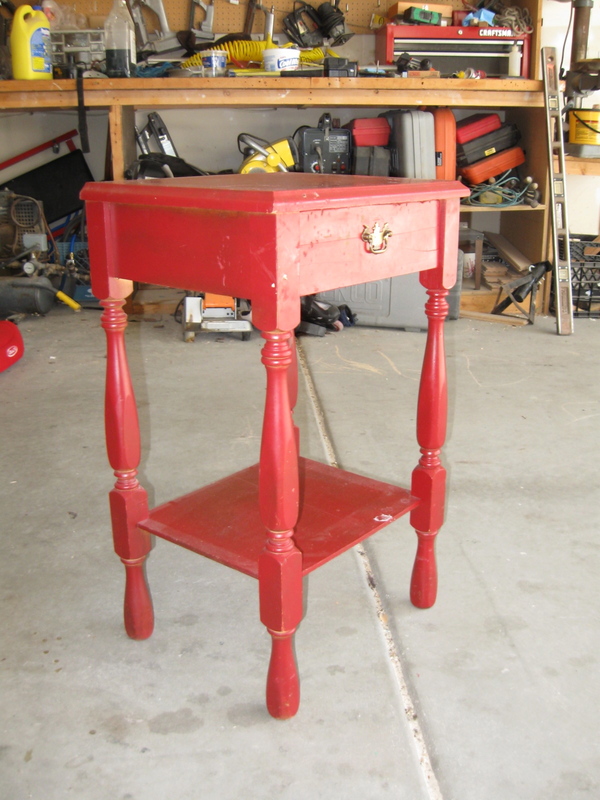 I like how this night stand is just little but has some good detail to it. It is also a very sturdy piece. 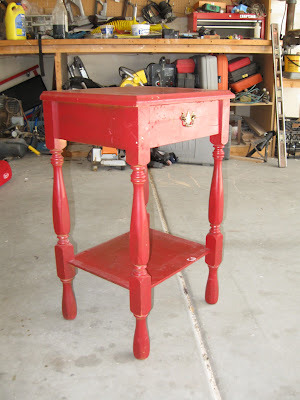 First, I used Rust-Oleum Primer and coated it really good. 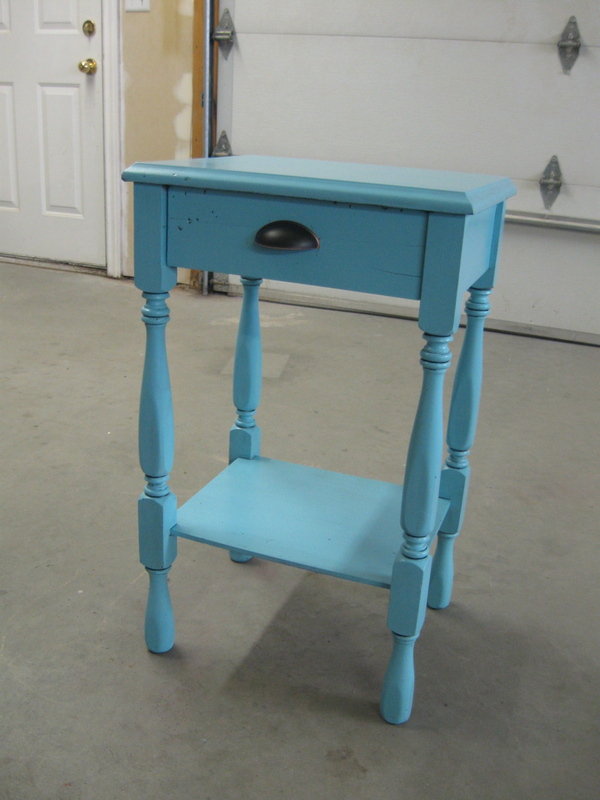 I was so ecstatic when she said that she wanted to paint it in a light blue color. 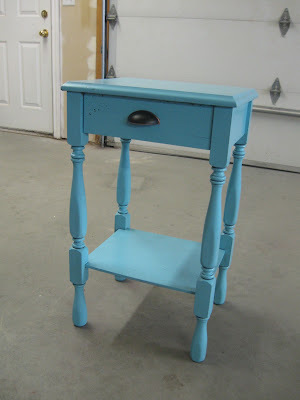 I have been dying to paint some thing in a Turquoise color. 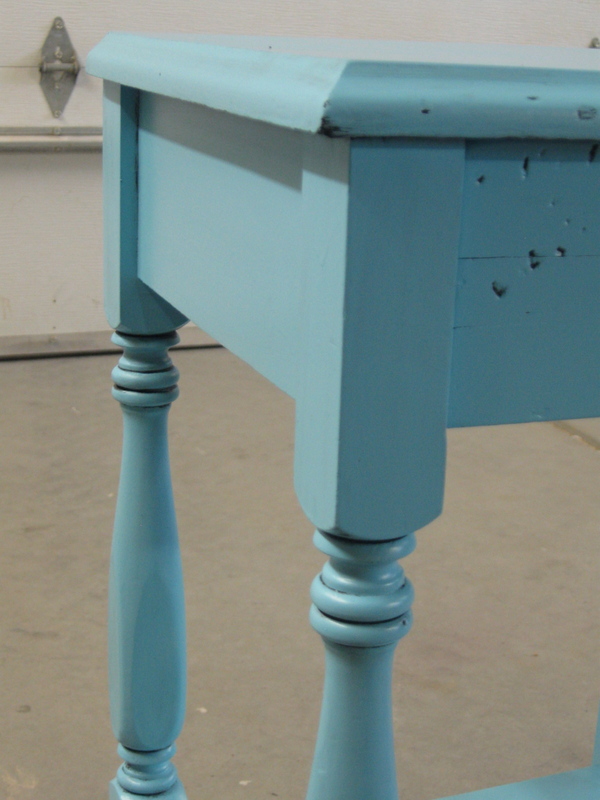 Turquoise is everywhere right now, it was the color of the year last year but it is still going strong! We picked the Rust-Oleum spray paint in Aqua. I was so happy with how it looked. Of course I couldn't resist glazing it. Have I mentioned it is my favorite thing ever! I used Ralph Lauren Faux Glaze. Just painted it on very generously and then wiped off with a damp rag. I just wiped off until I got the look I wanted, or added more as needed. I love how it just give the details a little definition. I also replaced the drawer pull, I found this great round pull at home Depot for about $3. It just updates the whole thing. I totally love it and Becca did too. So exciting. I am on the search for the next thing I can paint this color! Yay, thanks! I put it in the bedroom and it looks GREAT next to that window! Someday I'll get cute bedding to go with it....cutest piece of furniture I own now! :) You're the best! That's my favorite color! We will be using it in the twins room. It was so fun to paint! Thanks Becca!